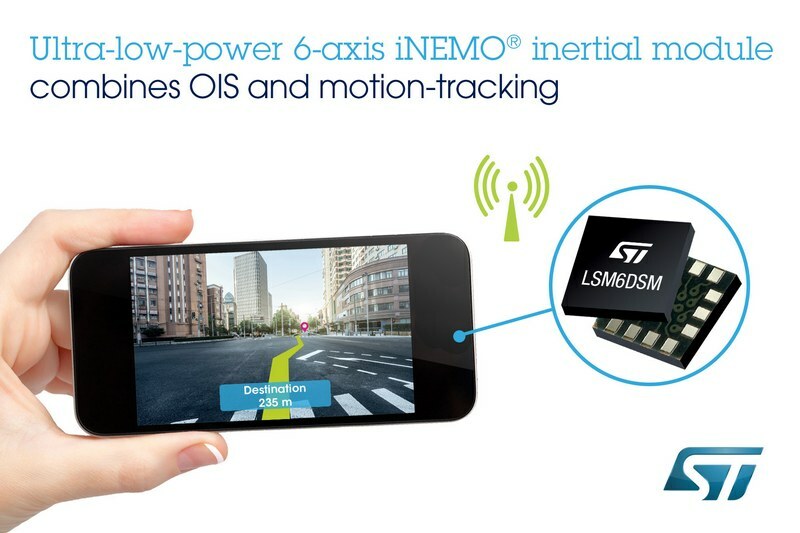 STMicroelectronics has revealed the latest generation of its highly miniaturized 6-axis MEMS inertial modules1 with ultra-low-power design that strengthen the smartphone’s emerging role as an “always-on” personal assistant and enhance user experiences for digital cameras, wearables and remote controls, game consoles, drones, and virtual reality. Continuous context sensing enables smartphones and other applications to respond instantly and intelligently to the user’s needs, but demands ultra-low-power sensors to maximize battery life. ST’s new LSM6DSL and LSM6DSM, with innovative power management, enhanced gyroscope design, and energy-efficient data batching, cut power consumption by as much as 50% over the current state-of-the-art LSM6DS3 and LSM6DS3H devices. Compliance with the most popular and innovative operating systems helps developers maximize the value of the personalization and power-saving features of popular mobile platforms.